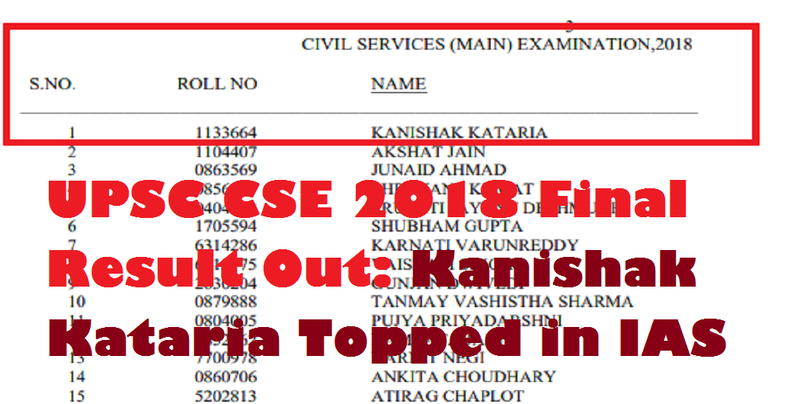 Dear Students, UPSC has released final result of CSE 2018-19 today on 05th April 2019, Friday. 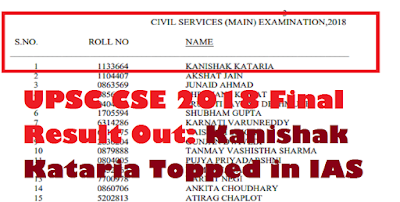 Kanishak Kataria has Ranked No.1 in the IAS 2018 final result. Based on the results of the written part of Civil Services Examination, 2018 held by the Union Public Service Commission in September-October, 2018 and the interviews for Personality Test held in February-March, 2019, final result(list of candidates finally selected for appointment) has been published today.